Long before I had children, in the days of free time and pampering, I visited Glen Ivy Hot Springs on several occasions with my friends and I fell in love. I promised that I would return to this hidden mecca in the foothills of Corona at least once a year and just take some time for me. Well, fast forward from 2003 to 2017 and I realized I hadn't keep that promise to myself. It was definitely time for a "Me party" and a day at Glen Ivy Hot Springs. Glen Ivy was established in 1860 and stretches across 12 acres at the base of the Santa Ana Mountain Range. There are 19 pools and whirlpools to enjoy - including the historic mineral bath. In addition to the plethora of pools there are also saunas, steam rooms, showers, fitness classes and a variety of individual spa treatments. Taking the Waters Admission gives you full all-day access to Glen Ivy's lush gardens, ample lounge areas, and the healing waters of the 19 pools. The pools are the perfect way to relax and treat whatever ails you. They are spread across the property so you can find your own little niche and corner of the Hot Springs and relax however you'd like. 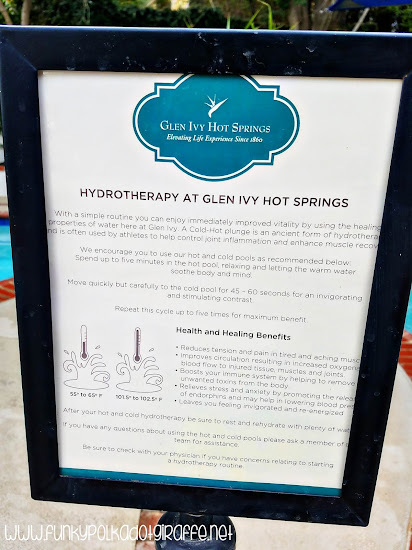 One of my favorite experiences at Glen Ivy is dipping into the Hot and Cold Cycle Pools for some good old fashioned hydrotherapy. The Hot Pool is about 102 degrees and the Cold Pool is around 55 to 65 degrees. First, you enjoy the Hot Pool for about five minutes and then you quickly, but carefully, switch for a plunge into the Cold Pool for 45-60 seconds. Whoa mama is it invigorating! You repeat up to five times to enjoy all the benefits of the hydrotherapy. There are also the sulfurous MINERAL BATHS that hover at 104 degrees, the LAP POOL, the VISTA POOL, and the SALINE POOL. It is so nice at the end of the day to relax in the VISTA POOL with the view of the mountains and let the mineral spring waters help stimulate the immune system. The SALINE POOL is a warm Epsom salt infused waters that relax the nervous system, alleviate skin problems, soothe muscles and draw toxins from the body. Another amenity that is included in your Taking the Waters Admission is CLUB MUD!!! It is a must do when you're planning your day at Glen Ivy. The red clay is formed by using dry powder clay that is found in the local Temescal Valley and is mixed with Glen Ivy's naturally occurring mineral water. Not only is the red clay fun to lather all over your body, but it has several therapeutic benefits. The Club Mud red clay draws impurities and toxins from the pores and is a natural exfoliant. It removes dead skin cells while firming and revitalizing the skin. It's also fun to enjoy with a friend or two so they can help you get that mud all over. After you've put the mud all over, then you can either dry out in the sun or in the Wafa - Club Mud's special drying chamber. As it dries, them mud becomes dry and powdery. Then, you brush off the majority of it and shower off the remaining mud in the outdoor Club Mud showers. Glen Ivy's own lavender-eucalyptus scented Soothing Body Cleansing Gel is provided to help you get mud-free again. 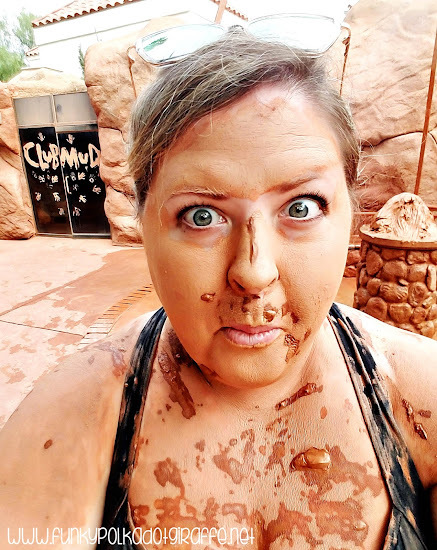 Insider Tip: Be sure to wear an old swimsuit or one that is dark in color as the red clay mud can stain. 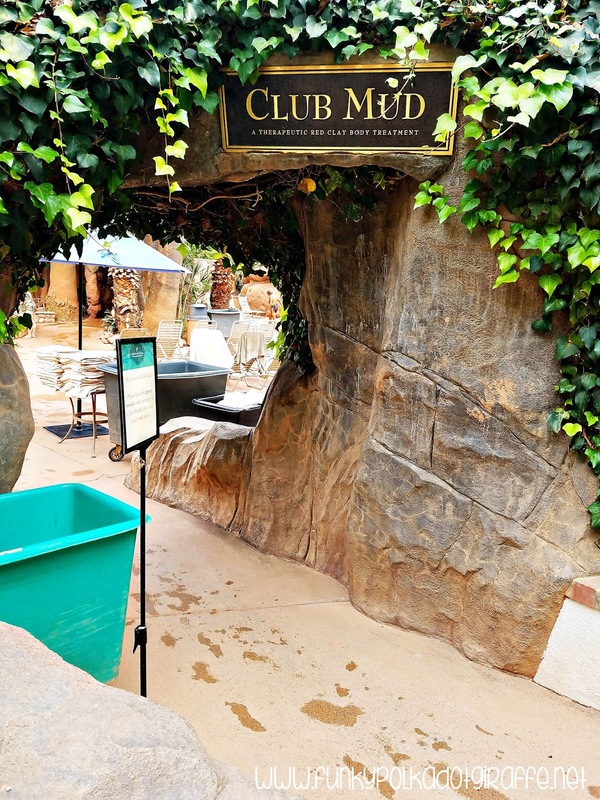 After you've had your fun mudding it up at CLUB MUD, one of the best things to follow-up with is a visit to THE GROTTO. 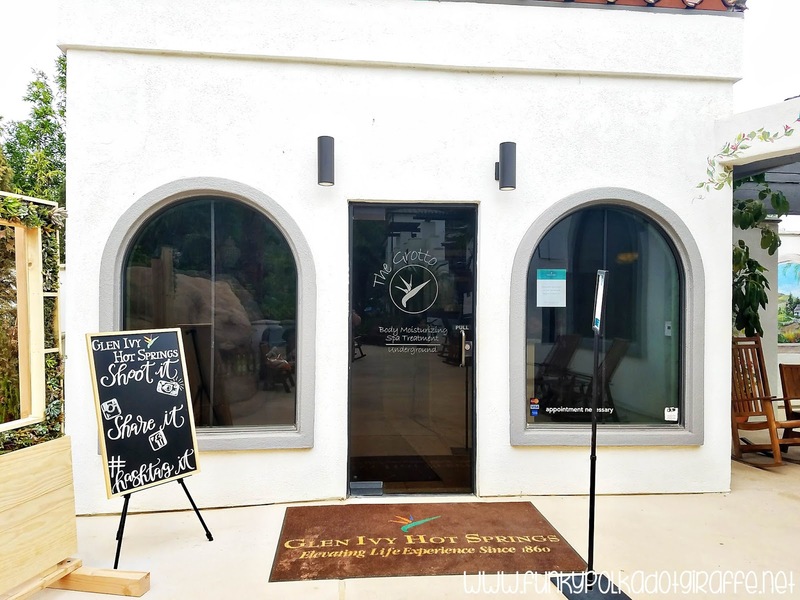 This is one of Glen Ivy's signature spa treatments and does require an appointment and fee, so be sure to book your visit to The Grotto before you arrive. 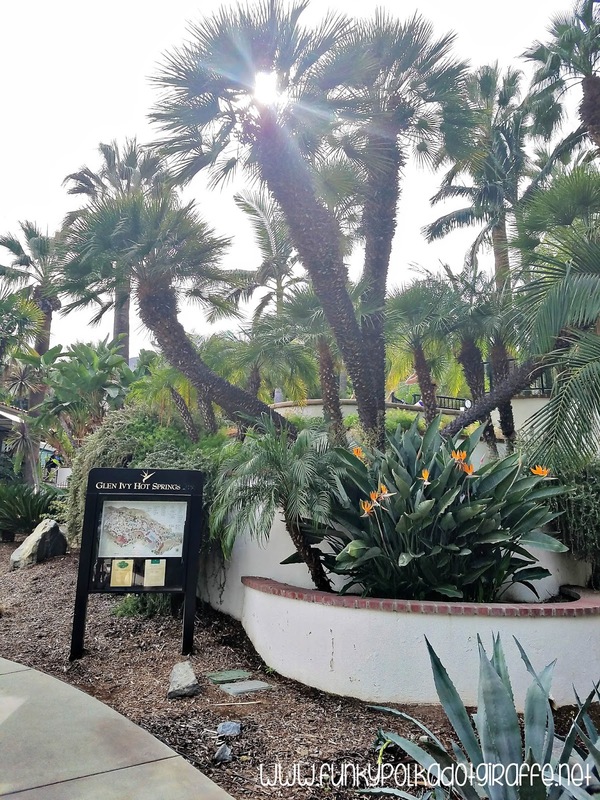 During your visit to The Grotto you will be covered in a neck-to-toe body masque of hydrating aloe vera, coconut oil, shea butter, eucalyptus and lavender. After your Grotto attendant has applied your masque, you'll head into the warm Hydration Chamber where the masque works its magic on your skin. You can stay in there as long as you'd like and that's why the Grotto is a fun experience to have with friends. You can move through the four chambers of The Grotto together. After your time in the the Hydration Chamber, it's time to shower off and then relax in the restoring Cool Chamber with refreshments. Although this wasn't my first visit to Glen Ivy Hot Springs, it was my first visit to THE GROTTO. My skin was so silky smooth after my treatment and I smelled so good! I would definitely enjoy a trip to The Grotto again! 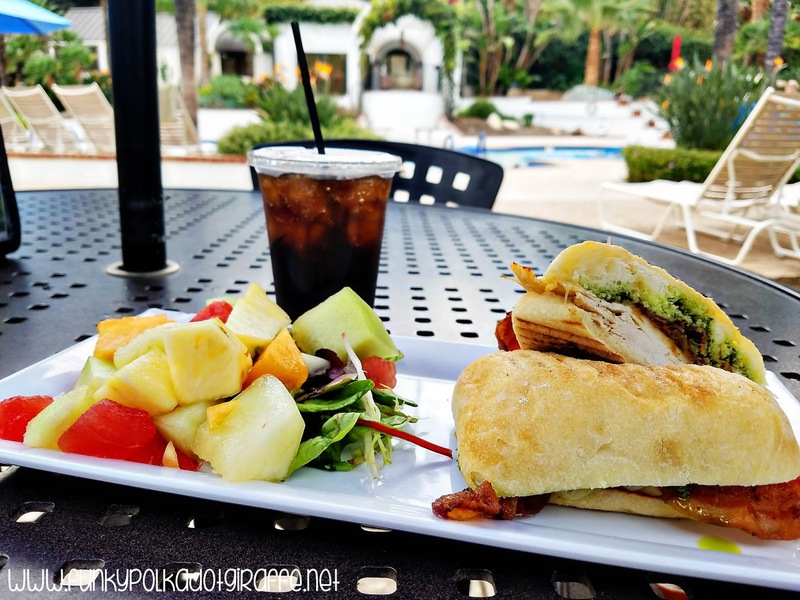 If you spend the day at Glen Ivy having a Me Party like I did, chances are you're going to get HUNGRY! 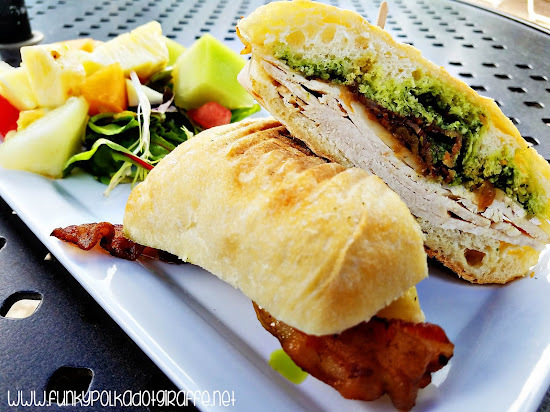 Both the Ivy Kitchen and the GOCO Cafe serve healthy, nourishing and delicious food. The food is procured from Glen Ivy's own organic farm and other local farms and markets. This way your food is fresh and sustainable! 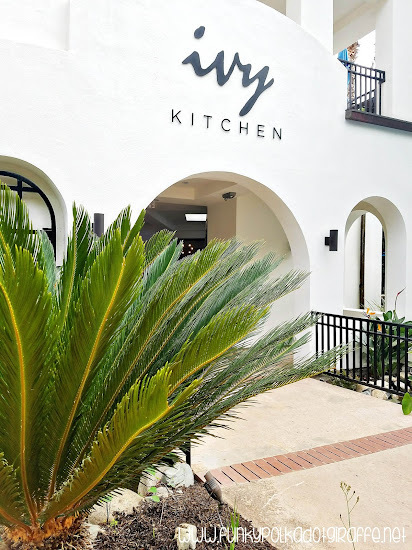 During my most recent visit to Glen Ivy, I enjoyed lunch from the Ivy Kitchen. There are salads, sandwiches and flatbread pizzas to choose from. There are also the Glen Ivy nachos that everyone swears are the best nachos you'll ever have. I was tempted to have them, but I settled on the Roasted Turkey Panini with Pesto because I was craving some bacon and fresh fruit. I couldn't beat my view for lunch - it was lovely. And since the winter months aren't as busy at Glen Ivy, it was quiet and almost like I had the entire hot springs to myself - especially later in the afternoon. Next time I go back, I will definitely be trying the nachos and taking in this view. 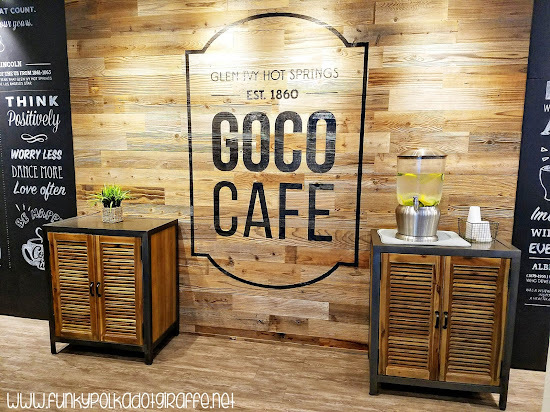 The GOCO Cafe serves Starbucks and other healthy, delectable drinks and food. All of their food is made fresh daily. So, now that you've seen how amazing a day at Glen Ivy Hot Springs is, it's time to pick a day and treat your self! 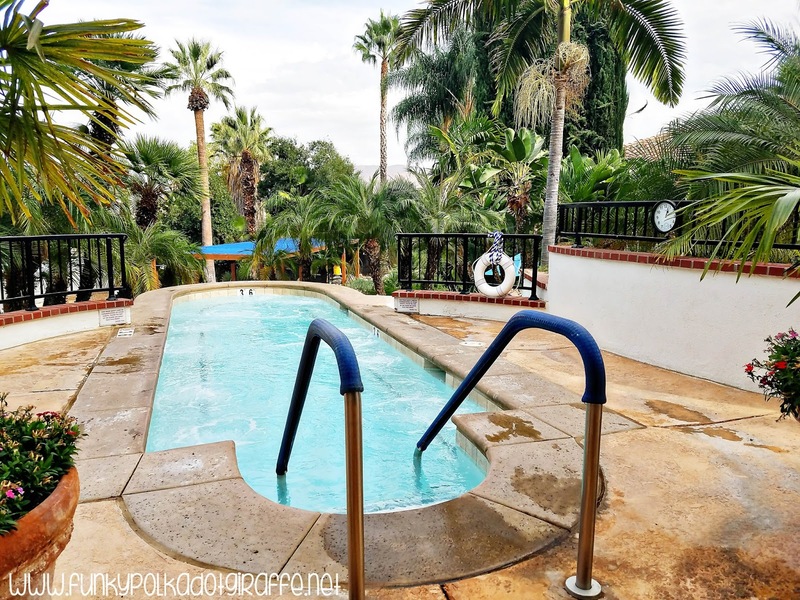 Winter is definitely a wonderful time to visit because there are no crowds, the weather in Corona is temperate during the day, and there are great specials and deals! Right now you can enjoy the RELAX AND GLOW package to get the most out of your day at Glen Ivy. Book any 2 services (valued at $100 or more) and receive admission and robe for the day for $25 weekdays/$35 weekends. You can also add a Grotto Treatment for just $20. There is also the WINTER WARM-UP package to help you escape the holiday hustle. 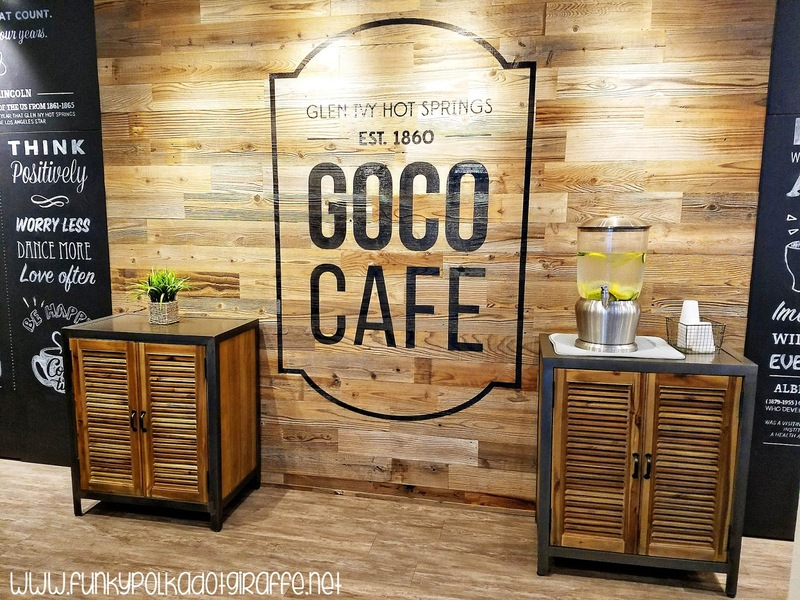 Available now through January 31, 2018 you start your day with a cup of hot coco and a cookie from GOCO Cafe, then indulge in a 50 minute spa service of your choice. Later, enjoy the moisturizing benefits of The Grotto Moisturizing treatment. Then, spend the rest of the day soaking in the 19 pools and partying in Club Mud all while bundled up in your cozy Glen Ivy plush robe rental. You can pre-book your Winter Warm-Up package for just $159 Monday through Friday only. 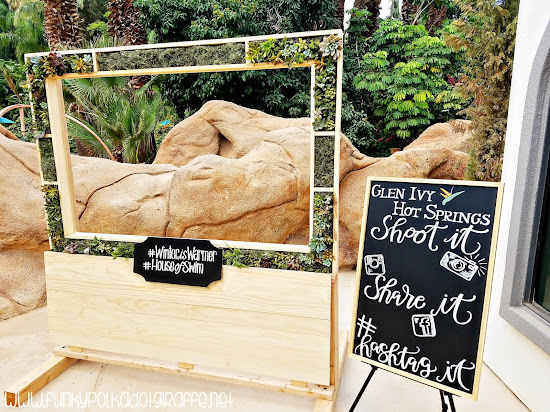 My Me Party day at Glen Ivy was magical, restorative and much needed. Especially at this time of year with the hustle and bustle of the holidays, two kids with birthdays, and being pulled in all directions by different commitments, it can be an overwhelming time of year. It was nice to take a day, relax, and treat myself to all the wonderful things that Glen Ivy has to offer. 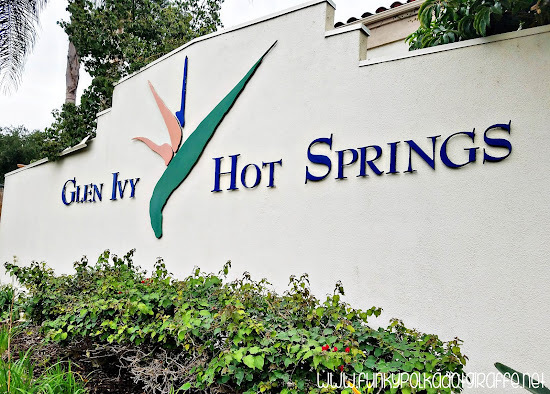 I highly suggest it and can attest that Winter is Warmer at Glen Ivy Hot Springs - and more fun! If you'd like to know more about the SPA TREATMENTS offered by Glen Ivy be sure to visit their website and find the one that is perfect for you. I have my eye on the WARM STONE RITUAL MASSAGE for my next visit!